If you’re not interested in the packaged tourism of Cancun and the Riviera Maya, Tulum is the place for you! In addition to lounging on pristine beaches and swimming in clear blue water, here are 6 must-do activities, especially for teens. KidTripster Tip: The lines can be unbearably long once the tour buses arrive from Cancun. (It’s the third most-visited archeological site in Mexico.) And the heat builds throughout the day, so try to get here around 7 a.m.
Tulum is full of shops selling knickknacks and souvenirs. There also are some great bakeries and restaurants downtown. But for the best food, I’d suggest the beachfront. I like Zamas Hotel because of its guest chefs and delicious breakfast. Or try the fish tacos from Mateo’s Mexican Grill across the street. KidTripster Tip: Many restaurants will serve breaded fish tacos. So if you don’t want that kind, make sure to specify Baja style. KidTripster Tip: There's no shortage of cheap factory goods in the shops, so be careful! Look for true artisan works. Tulum has some of the best snorkeling in all of Mexico. The reefs are vibrant and colorful, and you can see hundreds of species of fish, invertebrates, and turtles! You can bring your own snorkel gear or an outfitter can supply you. Mexidivers has a booth on the waterfront near Sunrise Beach, where the friendly staff will gladly set up a reef tour for your family. A cenote is an underground pool of fresh or salt water that is formed by rainfall or the ocean. Many cenotes have been set up as tourist attractions and are very refreshing after a hot day. Car Wash is conveniently located near the waterfront. Dos Ojos is a collection of three cenotes; it only costs a few bucks to get a pass for all of them. Gran Cenote is a very large and popular stop, but it’s somewhat of a drive from Tulum. KidTripster Tip: Make sure not to wear sunscreen or wash it off at the often-provided showers. Cenotes contain many species of blind fish that are negatively impacted by sunscreen. Also many pools still are used as a water source, so any sunscreen is strictly prohibited. This reserve is just south of Tulum and is home to an astonishing variety of plants and animals. In its bright blue waters and mangrove forests, you’ll find manatees and flamingoes. You can explore by swimming, kayaking or paddle boarding. Community Tours Sian Ka’an can set up a tour. Its facility even has a butterfly enclosure! 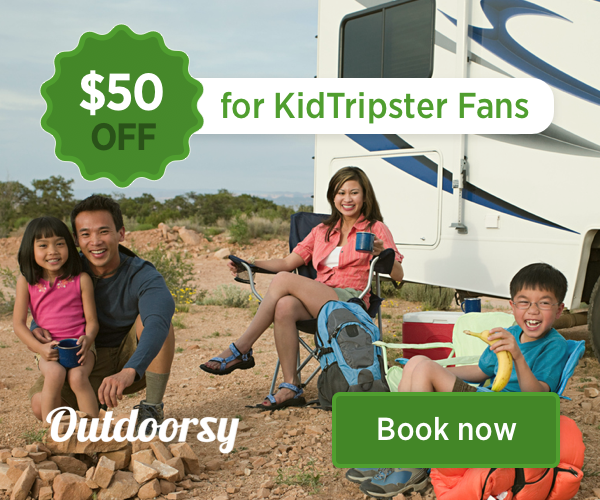 KidTripster Tip: Don’t pack breakfast or lunch. Community Tours Sian Ka’an will provide delicious local food. 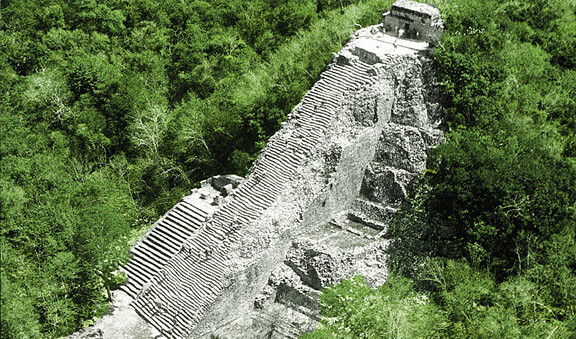 These ruins at Cobá are a 15-minute drive from Tulum. Make sure to get there early in the morning to beat the heat. Then get some bikes from the rental booth and cycle along the sacbeob (elevated Mayan roads) or take the more expensive cycle cab until you reach Nohoc Mul. Climb Ixmoja, the tallest pyramid on the Yucatán Peninsula using the attached rope and take in the beautiful view of the forest around you. If you get there early enough, you may even catch the sunrise. If you are particularly interested in the history of the Mayan people, make sure to stop by Chumuc Mul, Cobá Group, and maybe Macanxoc Mul before getting lunch in the town. KidTripster Tip: Stop at a nearby cart vendor to refresh and energize yourself with what the locals call “Mayan Red Bull.” It’s orange juice with bee pollen and honey. Jonas Larson is a ninth grader, living in Portland, Oregon. He enjoys reading, writing, and athletics, but above all he loves traveling the world with his family.